When you hear the term "radioactive" you likely think "bad news," maybe along the lines of fallout from an atomic bomb. But radioactive materials are actually used in a wide range of beneficial applications. In medicine, they routinely help diagnose and treat disease. Irradiation helps keep a number of foods free from insects and invasive pests. Archaeologists use them to figure out how old an artifact might be. And the list goes on. So what is radioactivity? It's the spontaneous emission of radiation when an atom's dense center – called its nucleus – transforms into a different one. Whether in the form of particles or electromagnetic waves called gamma rays, radiation transfers energy away from the atomic nucleus. French physicist Henri Becquerel discovered natural radioactivity in 1896. He was trying to study how uranium salts phosphoresce – that is, emit light – when they're exposed to sunlight. Becquerel placed a uranium sample on a photographic plate covered with opaque paper and left it in direct sunlight. The plate got foggy, which he concluded was due to sun exposure. Becquerel's discovery ushered in a new era of physics and launched the field of nuclear science. For this work, he won the Nobel Prize in 1903. The known atomic nuclei belong to 118 different elements, some of them naturally occurring and some of them human-made. 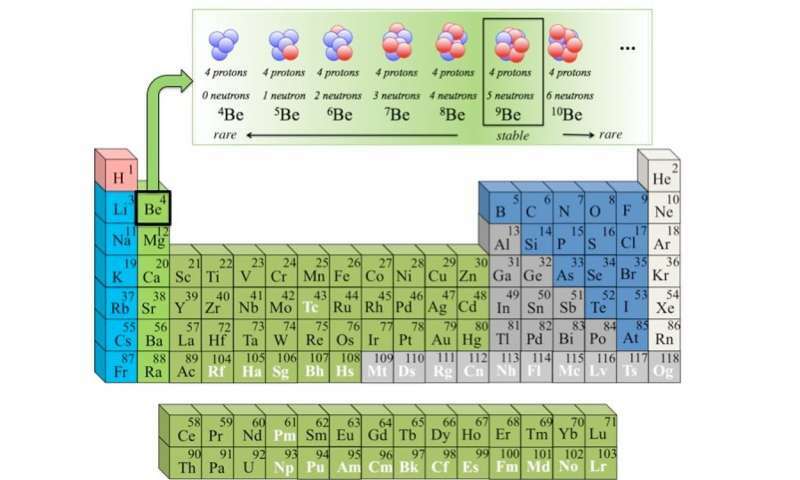 For every element on the periodic table there are many different "isotopes," from the Greek word "ισότοπο," which means "same place," implying the same place on the periodic table of the elements. 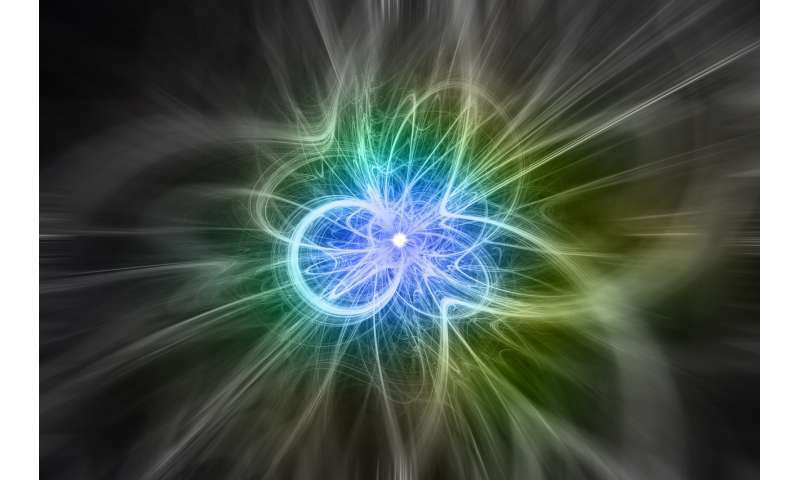 To be the same element, two isotopes must have the same number of protons – the positively charged subatomic particle. It's their number of neutrons – subatomic particles with no charge at all – that can vary significantly. For example, modern smoke detectors use the isotope Americium-241, which emits a type of radiation called alpha particles that have a very short range. The radioactivity can't travel more than a couple of inches in air. Americium-241 lives for a few hundred years. 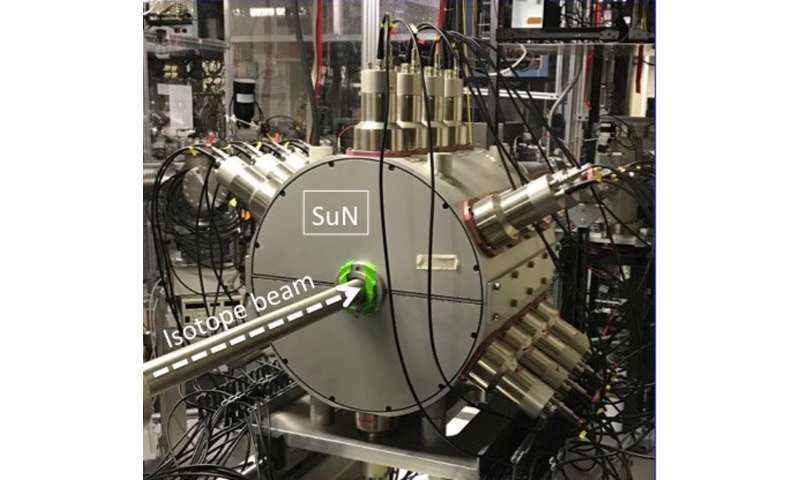 In a typical experiment, we implant a beam of rare isotopes at the center of SuN. The rare isotopes will decay of their own accord after a short amount of time, roughly one second or less, and emit their characteristic radiation. SuN detects these emitted gamma rays. It's our job as nuclear experimentalists to put together the puzzle of how those gamma rays were emitted and what they tell us about the properties of the new isotope. It's impossible to predict which new discoveries in basic research will have an impact on people's lives. Who could have known 100 years ago, when the electron was discovered, that for a few decades almost every house in the developed world would have an electron machine – otherwise known as a cathode-ray tube – to watch television? And who could have guessed that the discovery of radioactivity would eventually lead to space exploration powered by radioactive decays? Wanna see how many isotopes of element Mc(115) we can find? This article glosses over the fact that knowing what isotopes there are and their characteristic gamma emissions when they decay as well as their decay modes helps us understand the strong nuclear force, and from that the color force, one of the least understood forces in nature. Mendeleev was able to discover the periodic table from data very like this, and that has proved to be a watershed ever since, for physics as well as chemistry. 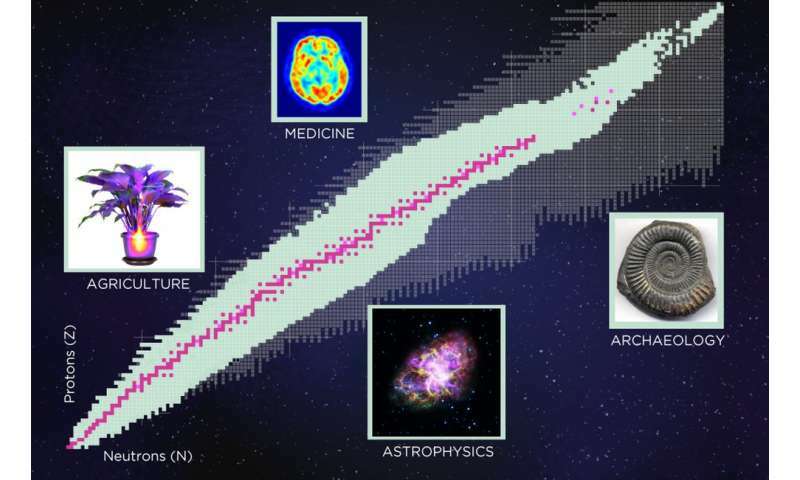 For example, we can now calculate the expected energy from interactions with photons in the electron clouds of atoms, and we can see them in astrophysics. That's what spectroscopy is all about.